You are invited to the conference “Action Day for the Environment – Vietnamese Youth and the 350 Global Movement” with the participation of Ms. Le Thuy Dung, Director of Saigon 350 Global Movement for the environmental and Ms. Tran Minh Trang, Director of 350 VYP Club. 350 is a global movement, comprising of a network of individuals who hold a firm belief that we should reduce the amount of carbon dioxide in the atmosphere to 350 parts per million. 350 connects local campaigns to an united global movement. On 10 Oct 2010 (10/10/10), 7,347 events in 188 countries in all over the world participated in the 350 movement. 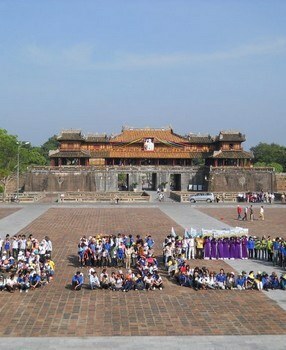 In Vietnam, on 10/10/10, there were 20 events attracting more than 1500 people. 350 is an effort to call for leaders to commit to reduce CO2 emissions to help the earth and protect the environment. The event “Action Day for the Environment – Vietnamese Youth and 350 Global Movement” is organized to improve general knowledge for Vietnamese youth about the 350 global movement as well as discussing the establishment and the development of this network in Vietnam. Hopefully, it will promote Vietnamese youth to have more realistic campaigns, information sharing sections and spread the word to a wider audience in order to take preventive actions towards climate change and to protect the environment.